Swiffy is Google's quick converter software that takes .swf files in and spits HTML5 compatibility out, which will eventually speed up the process of moving to HTML5 altogether. Apple's iDevice owners have been waiting with bated breath for this moment ever since Steve Jobs's infamous "Thoughts on Flash" memo last year. There is already support for vector graphics, embedded fonts, images and timeline animation, all waiting to be moved into an iPad or iPhone-friendlier format, but for Flash-based games you will have to wait. After all, Swiffy is not even a Google beta endeavor, it's still in the Labs, and has been started as a project of the engineering intern Pieter Senster, who was looking for a quick way to convert Flash ads for devices like the iPhone and iPad. There are a few examples of Swiffy in action on Google's page for the project, so hit the source link if you are interested. Yea....another article about what I was saying before:If companies want HTML5 to be the standard, start phasing out Flash more, and faster. Google already jumped on board by making browsers than can use HTML5 mandatory for using Google Apps.http://www.engadget.com/2011/06/03/google-apps-is-moving-on-youll-need-an-html5-browser-to-go-wit/http://old.news.yahoo.com/s/digitaltrends/20110602/tc_digitaltrends/googleappsditchingolderbrowsersAnd it seems older browsers might not work as well anymore and be missing functionality with Google Apps while they start using HTML5 more.More companies do this and HTML5 will be the norm sooner than later. Especially website designers. you misunderstand, the current version of flash is going by by everyone knows this. Jobs made that decision back in 2005/2006 ish I would bet and the Ios device have been around since 2007 so fandroids cant believe his company would ignore the current standard (and on top of that trash talk a good company) in favor for what will be the standard in 5 to 10 more years. but you gotta admit apple knows there customers most know they are missing something but just don't care for some reason they never have the "could have had a V8 moment"
God, you have got to be the most obnoxious individual i've ever encountered. Do you even realize how silly you look? This is GOOGLE'S doing...Google is developing the technology that Apple is waiting for. What has Apple done to help html5??? Not a damn thing! Yes you do sound IGNORANT, every time you open your mouth. Your inferiority complex is so evident to everyone who reads the crap you type. Please stop embarrassing yourself with you lack of knowledge and pick up a book, go to bed, or something that will involve silence. > What has Apple done to help html5 They gave the world WebKit and continue to add HTML5/CSS3/SVG/Canvas features. They contribute to major web specification authoring. 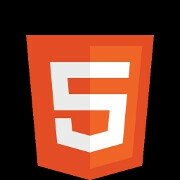 They are committed to HTML5 in initiatives like iAds. This Google project seems like a small 10% project. It's an experiment. It's interesting, but not worth such impassioned debate. Lets watch with interest whether they put resources behind it.